A question: Is it better to table-enchant a thaumium pickaxe before turning it into a pickaxe of the core, or vice versa? Or to put it another way: On the one hand, is there any problem with enchanting the PotC at the table, and on the other, will infusing an enchanted pickaxe add instability/cost like it would for infusion enchantment? I only keep 1 full jar of each aspect handy with a few exceptions like ignis for the furnace and herba if I have a farm nearby. I keep most other stores (perdito, potentia, lux) in inventory, not attached to the pipes. So at worst a runaway infusion would only empty a single jar, but if I see that coming, I shut down the infusion FAST. Also, for each item on a pedestal I have quite a few extras on my hotbar to replace drops or pops quickly so a runaway doesn't even get a chance to start. And, before starting I check that the jars contain MORE THAN ENOUGH essentia for the infusion and a little runaway. If the infusion calls for 20 Aer, I make sure I have a 40 in the jar. I see no need to store mass volumes of other essentia as no vanilla Thaumcraft infusions require more than a jar can hold, so less than a full jar is all that's ever needed at any given moment. I do keep the ingredients handy to replace essentias that I find are often used, and if I'm going to make a few of an item I start distilling the ingredients before I start infusing to keep the jars refilling while the infusion runs so I won't have to wait between infusions. Basically I just replace what I use each time and keep the jars mostly full. It should also be noted the infusion alter will not be able to reach warded jars that are 12 or more blocks away, and labeled jars will not pull essentia from other labeled jars. Pickaxe first. The infusion to make the tool eliminates any existing enchantment. You can enchant the special thaumium tools at the table, and they will usually get a lot of enchants, and I find it kind of fun to see what you get (plus it's less work than 10 or so levels of enchants). However, I almost always get Unbreaking III as one of the enchants. That means you can't put Repair on it, so while it will last a long time, it does wear out eventually. I'm sure any enchantment raises the difficulty of further infusion - I don't think Azanor would have gone to the trouble of tracking the source of the enchantment. I can't testify for sure, because I've had very little trouble with infusions - in dozens of infusions I've been zotted about 3 times for trivial damage and I've had one flux splat and one item knocked off a pedestal. That includes a Thaumstatic harness, two Magic Mirrors, and a hand mirror, as well as several overlay enchantments on vanilla-enchanted special tools. Could you test for this issue and not crash? Crash report! I believe this one is caused by scanning too many things. I've run into it on a server with a lot of mods and active players. So I have a ton of blocks/items scanned and quite a few players scanned too. I had this crash before on the server upon login but never had it crash while playing until now. It happened after scanning some new stuff, then opening my thaumonomicon. After that crash, it crashes on login, before rendering anything or giving me any control. IMarvinTPA: I'm pretty sure that removing a mod midgame voids your warranty. Especially with one of its blocks in play. Well, what's REALLY happening is I'm using MidasGold to convert everything from a 1.6.4 Ultimate world (made a compatable local setup) to the 1.6.4 FTB Monster pack which has moved a crapload of stuff around. If I had a better anchor than "tag" to modify my custom Midas plugin to fix the target to the new id. If I were really mean, I'd ask about fixing the bug that occurs if you change the id of a focus mid game while it is on a wand. There are very few programs that are robust in the wake of external tampering in their complex data files. I would not expect a game program from a dev-team under a dozen people to be one of them, much less a third-party add-on to same. 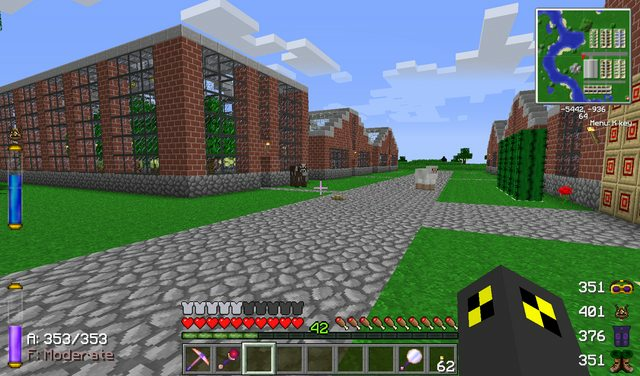 Is it ayone out there (except Azanor) who is an advanced mob maker that can make a golem like mob maybe even more advanced (or I thinks it's more advanced) cuz I got an really cool idea for an addon for thaumcraft that maybe can become its own mod sooner. Well if u can make so advance mobs or know a guy/gal that can msg me and I can tell u the idea and btw 10 points for tthe one that can guess what M.A.T.R.G. Stands for. 7777 replies to this topic. Wow. 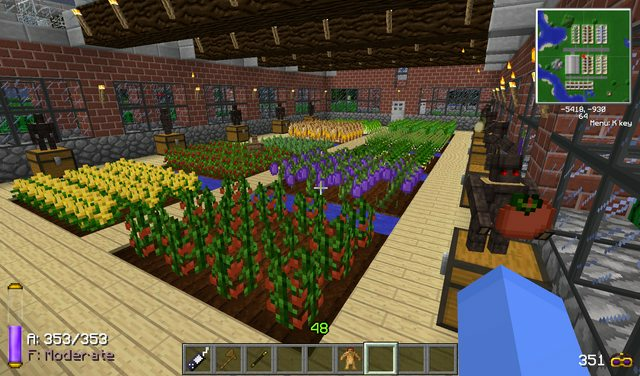 Is there any chance the ThaumCraft API can be changed to allow for tile entity crops like HarvestCraft? 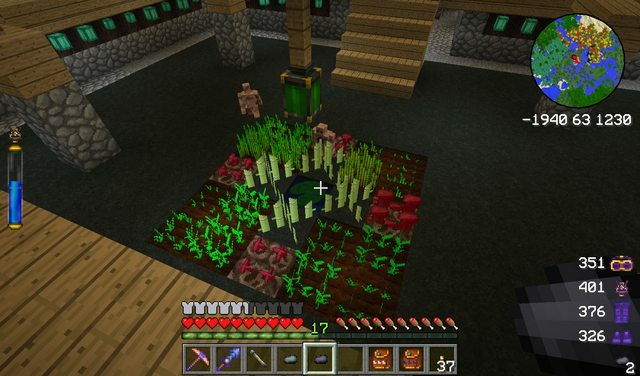 Would love to be able to have my golems harvest HarvestCraft crops, but they can't at the moment because they can't interact with tile entities. my client crashes when i right click the research table. can someone help? Are you using Thaumic Tinkerer and if so which Build are you using? My hat sir, it tips off for you. Always nice to see someone else who loves to farm food the way I do. Greenhouses all the way! Agree. Whatever voodoo magic needed for Thaumcraft and Harvestcraft to work together would be awesome. I was trying to think of a signature and this is what came up. I run Twilight Forest and don't find anything lacking between it and Thaumcraft. What issue are you speaking (writing) of? Can you just imagine taint being spread by tainted animals in the twilight forest? Can you just imagine tainted versions of the twilight forest animals?